This article was written by Michael Wilkes, MD, PhD, Professor of Medicine at the University of California, Davis and its Director of Global Health. A screenshot from a recent Opdivo spot. As poets and writers have known for millennia, the use of specific words can lead to imagery, meaning, feelings and emotions that transcend the narrow definition of the word. A study I did several years ago showed that changing just one word in the sentence from “Is there anything else you want to address in the visit today?” (ANY condition) to, “Is there something else you want to address in the visit today” (SOMETHING condition) had a significant impact on overall patient satisfaction. Words matter a great deal, and so do visual images. It’s hard to escape from direct-to-consumer promotions these days, be they on TV, radio, at sporting events, jumping out of the program at a concert, or on a billboard at the airport. Directing promotional material to physicians who are better able to evaluate the claims and distortions is so old school. It is far more effective to advertise directly to the consumer and appeal to his or her emotions and desires and let the consumer convince the doctor. 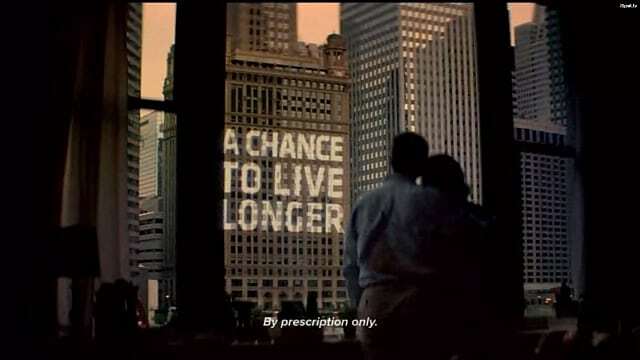 In the advertisements, the use of superlatives – words like “breakthrough”, “game changer” or “something this big” — that exaggerate the benefits of a drug, images that suggest greater benefits than can actually be achieved, and videos that tug on the heart strings of the viewer all suggest that if you don’t try the drug being promoted, you aren’t really trying your hardest. Recently researchers at Oregon Health Sciences University showed that the use of superlatives to describe cancer drugs is common, particularly in describing a new class of drugs called immunotherapies. These direct and subliminal messages intended to increase demand for a drug are particularly worrisome when the drug at hand is new and relatively untested, when the drug carries significant risks that balance out the promoted benefits, and when the drug is exceedingly expensive. A case in point is the drug nivolumab marketed under the trade name Opdivo. It is manufactured by Bristol-Myers Squibb to treat certain types of lung cancer – but only after the sick person has failed conventional chemotherapy. Over half the patients taking the drug experience severe side effects – some are so severe the patients stopped taking the drug. Still the drug is being heavily promoted on prime time TV with an advertisement that begins with a surprisingly healthy-looking father and his son sitting at a baseball stadium. Dad, presumably the one with cancer, is smiling and clearly enjoying himself. The narrator begins, “For adults with an advanced lung cancer called squamous non-small, previously treated with platinum based therapy, it’s not every day that something this big comes along”. 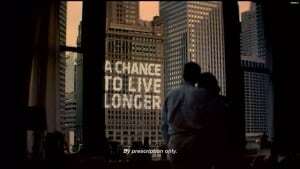 The scene changes as we watch the father and son look around a city scene where flashed across the city’s buildings is a bright sign that reads, “A chance to live longer.” We then see other healthy middle aged men and their spouses looking up and smiling at the “A chance to live longer” sign. Technically, the advertisement is accurate. 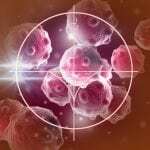 Clinical trials showed that compared to a group who took conventional chemotherapy, those taking the drug nivolumab lived an average of 90 days longer. Is this a huge clinical advance? Well, it depends on your perspective. Some patients feel 90 days doesn’t sound like much, while others say they would give their right arm to live another 90 days – but only if their quality of life was high. But, before you decide if would you take the drug, also consider that the drug costs about $150,000 for the initial treatment, and then about $14,000 a month. Not all insurance will cover the cost. Oncologists and other physicians I’ve spoken with reflect the same attitudes as cancer patients. Some report that this is a remarkable drug that gives them a new tool to extend life, others see this as a smoke screen that distracts from important work that needs to be done around end of life issues, and others feel the cost of the drug is outrageous when we can’t afford even basic health care for all such as aggressive prevention around smoking cessation. These are interesting times, and much depends on one’s perspective and motivation. What is clearly long overdue is a public discussion about what constitutes meaningful patient-oriented outcomes and how to use society’s limited resources. “Bristol-Myers Squibb’s closely watched new drug Opdivo, one of the first of a new wave of cancer medicines that boost the immune system, has been rejected as too expensive for treating lung cancer by Britain’s cost watchdog. In draft guidance issued on Wednesday, the National Institute for Health and Care Excellence (NICE) said using Opdivo, or nivolumab, in non-small cell lung cancer after chemotherapy did not represent a cost-effective use of resources. The U.S. drugmaker said the NICE decision was “deeply disappointing”. 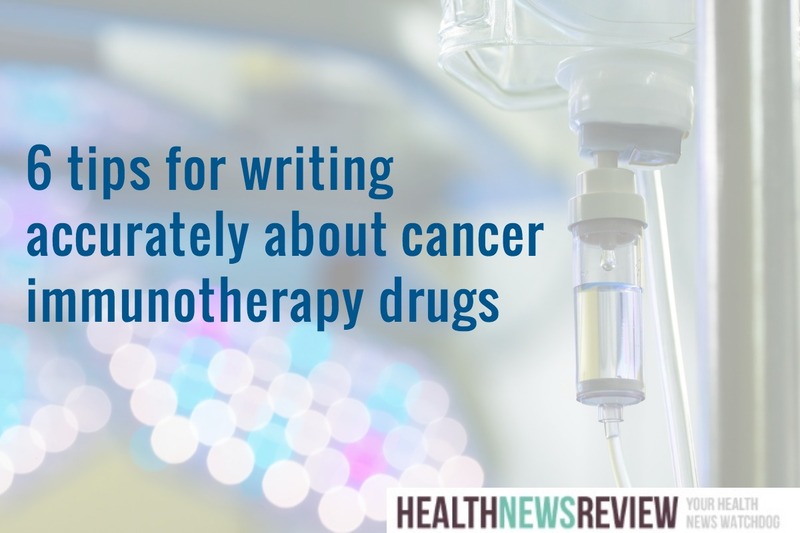 Too many stories ignore or under-report the harms of cancer immunotherapies. Here's what the public needs to know. In clinical trials, immune-mediated pneumonitis occurred in 2.2 to 6 percent of people receiving nivolimumab, and the pneumonitis was fatal in 5 cases. Diarrhea or colitis occurred in 21 percent of people on the drug in one trial, according to the package insert. Adverse effects were particularly frequent in non-small cell lung cancer: fatigue (50%), difficulty breathing (38%), musculoskeletal pain (36%) nausea (29%), constipation (24%) vomiting (19%) diarrhea (18%) to name a few listed in the Medline summary for nivolimumab. My father developed renal cell carcinoma over five years ago. The cancer had spread throughout his body and his prognosis was only a few months to live. He had many surgeries and chemotherapy treatments with no improvement. These side effects were tremendously difficult. His last hope was the first clinical trial of nivolumab (Opdivo). The tumors were gone completely in months. He had NO side effects especially. We do consider the drug a miracle and we could not understand all the red tape involved to get this drug (that clearly saved my father’s life) to market. He developed brain cancer (most likely from the original renal cell carcinoma) about six months ago and had to have surgery immediately. Due to the surgery he was unable to get back on Opdivo and he lost his battle just last week. I know every condition/patient is different but there really is no debate. Five more years of life with no side effects versus being dead. As you know, the US is one of very few countries that allows consumer advertising of prescription drugs. There are good reasons why all the others don’t. Also, on NICE, the agency rejects nearly all these new agents on QALY (quality adjusted life year) criteria, although some do then get recommended when the companies bring the price down. There is also a cancer drugs fund in the UK that funds some of these non-recommended drugs but its future is currently in consultation. I feel that the misleading emotional appeal is immoral,specifically, and that direct-to-consumer advertising, in general, of any medical agent or procedure is unethical. If nothing else, the FDA should be restored the authority of reviewing such advertising in the way an Ethics Board would review research consents. This story hits home with me as a patient. I have conflicted feelings because I am the beneficiary of Opdivo. I was diagnosed with Stage IV kidney cancer almost five years ago, with initial progression to bones, then to brain, lungs and lymph nodes. Opdivo, or nivolumab, was offered to me as part of a Phase I clinical trial that combined Yervoy (ipilimumulab — what a mouthful! ), another immune treatment that works in a different way and has even worse side effects, which is why its treatment regimen is for three months only.. I’ve been on the trial since July 2013, and at this point am cancer free from the neck down. I’ve been treated for four brain mets, though, three since the trial began, the last one in March. Side effects since I’ve been on the trial have been tolerable — fatigue, achy joints, some headaches. I’ve seen this ad as well, and yes the side effects listed are severe, but just about any drug has severe side effects, and I’m fortunate enough to not had had the severe ones — yet. I would hope by now that consumers have some awareness that drug ads provide a rosy picture, best-case scenario, and thankfully the scary voice-overs and fine print are required as a counter-balance and help provide a reality check. I don’t see any reason why Opdivo needs to be advertised directly to consumers, though I think it’s a solid option, and one that patients may not otherwise hear about. My oncologists in Boston are quite excited about immune therapy treatments as a category, though it’s early days, and there are many caveats. . When it works, Opdivo takes the breaks off your T cells, a type of white blood cell that otherwise would shut itself off after about two weeks. You are thus revving up your immune system, which of course can cause problems such as autoimmune disorders. But, virtually every pill in your medicine cabinet has possible negative side effects that go along with the purported benefits. In my case, another treatment option were a drug called Sutent, which can have even worse side effects (or no treatment at all). Sutent is a so-called targeted therapy that works by cutting off the blood supply to tumors, until the cancer cells figure out a workaround. And they usually do. I think I am buying time for whatever may be developed in the future. I’m lucky enough to have decent health insurance at least for another year through COBRA. What happens after that I don’t know. I think drug pricing is an issue that needs to be addressed. I find it curious that in the study I’m on, no one seems to be especially interested in taking me off the treatment to see if my T cells have been trained enough yet! Having so many people on Opdivo for an unlimited time period would surely crash the health insurance system, unless the price of the treatment comes down dramatically. Maybe the decision in the UK will force BMS to lower the price, and figure out the dosing. I’m very thankful to have had access to the trial, though, and hope that others are able to benefit as well, at a cost that doesn’t overly burden the health care system. That’s why I hope the situation in the UK gets resolved quickly, and the U.S. federal government gets the power to negotiate drug prices, so that prices here can come down in a meaningful way. 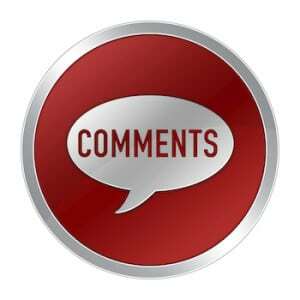 Thank you for your very thoughtful comment, which provides an important and balanced patient perspective. 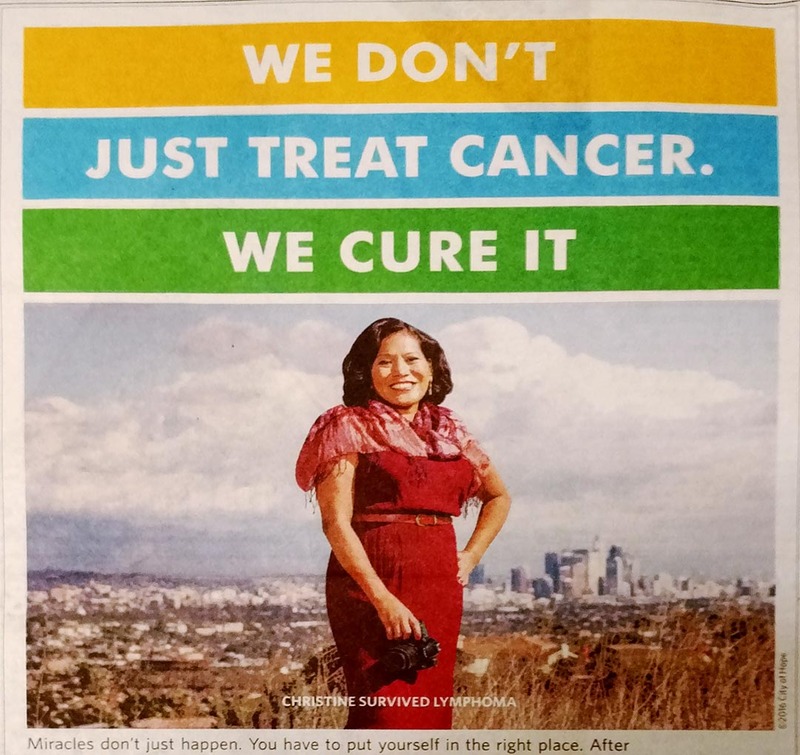 I feel angry when I see this ad-it’s one thing to “ask your doctor!” about a drug for athlete’s foot, but a salvage therapy for advanced cancer is another thing altogether. It feeds into the meme that “There are cures out there that your doctor keeps secret” as if your own oncologist might never have heard of the stuff, unless you ask her yourself. Thank you, Dr. Wilkes, for your thoughtful comments about direct-to-consumer advertising. I share your concerns especially regarding marketing to those with late stage illness. As you stated in your first sentence, “…specific words can lead to lead to imagery, meaning, feelings and emotions that transcend the narrow definition of the word.” As a 25 year cancer survivor, I urge you to consider the effect that some of your words may have on those in cancer treatment, especially those in treatment for Stage 4 cancer. I know that medical professionals routinely state that patients have failed a treatment, as you have “..but only after the sick person has failed conventional chemotherapy.” Cancer survivors cringe at those words. We believe the treatment failed, not the patient. Words & framing do matter.